I have a hard time saying the word Hidizs. I have an even harder time saying it after a few beers so I will just refer to this £230 midrange DAP as the AP100, which actually sounds quite militaristic in my mind than a small lightweight portable audio player but there you have it. Who the heck are Hidizs and why are they releasing a DAP? Hidizs is actually a trading brand of Kaitai Technology based in China and known more for industrial gadgets and POS systems so it’s quite the leap of faith to suddenly go for the portaphile market. I guess everyone has to start somewhere, Nokia made rubber boots before Phones should I be forced to cite similar examples. The whole Hidizs movement from within started around 2009 but didn’t hit the market with this, their first offering until early 2014 at the CES show in Vegas. At the time of writing I believe the next model, the AP300, is due to come out and should be a significant step up in quality and with it I presume in price. But this is a hell of a stiff market now for the reborn DAP market and especially at the high point of the budget range or low point of the mid-range depending how you look at it. 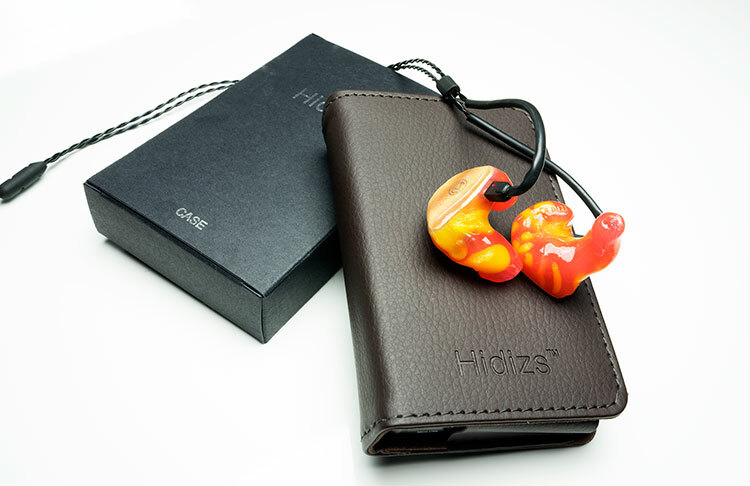 You have to bring outstanding value or something that sounds excellent to stand out from the crowd with FiiO, Ibasso, Hifiman, Sony et al vying for your hard earned savings. Not only that but getting it to the market channels has been the bane of many a Chinese firm – if you can’t get out of Alibaba most of the US and Europe will never have heard of it. Thankfully that does not seem to be a problem for Hidizs. This DAP seems to be in all the right stores and online websites where the likes of you and me would destroy our plastic when we can on yummy audio gear. But does it stand out? The AP100 comes in two color schemes, black and silver. Personally the black looks a bit more premium than the more washed out silver to me but tastes can vary. It comes packed in an Astell & Kern type black cardboard box with minimalist branding. Most of the kit inside, including the AP100 itself come cocooned in an ESD bag, is inserted in further folded cardboard packaging. On the back of the box you get a rather functional list of what it is and what it can do in bullet point format. This is straight to the point and no messing about which I prefer over marketing promises of “extreme bass” and the “hear the music as the artist wanted you to hear it” and other such glorious but terribly subjective claims. A faux leather type brown fold out case. That’s a fairly competitive package rather there and on par with the likes of FiiO and Ibasso who offer pretty much the same deal inside their boxes. It’s a little bit more than what Shanling offer you with their M3 also. The case itself it’s not inside the box but comes in its own little branded cardboard box adding something of slightly misguided expectation that you’re getting AK quality right there. However do not underestimate the offer of a case with your DAP as a subconscious poke to buy something you might not otherwise. It is plastered in the pictures everywhere it is offered and it does indeed look rather fetching in its faux brown leather online glory. In real life it’s not quite the devilish premium quality of an AK leather case, in fact its rather rubbery a bit a bit loose in its magnet and flap fitting but it does get the job done. It is not something either you can just pop down to your local accessory store and buy with just a nod and a glance to the shelves. For protection purposes and a dash of finish it does the job perfectly well, the slots are largely aligned and stitching looks relatively robust. It is also in my favorite color of brown – how sweet. The form factor reminds me of a cross between a DX90 and a miniaturized HM901. It feels right in the hand, just the right size actually and the front panel, whilst not scroll wheel based, feels fairly well laid out and clear in terms of what each button should nominally do. 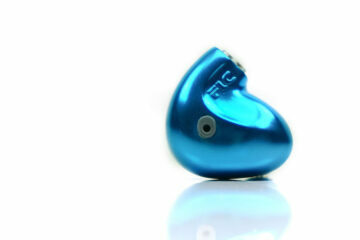 It also feels pretty solid, weighing 10g more than the DX50 and 16g more than the DX90. The shape is quite standard in portable media really and nothing unusual unlike the more outlandish design concepts from Shanling and Cayin. In that context the AP100 is quite, well, normal really and possibly quite refreshing in that aspect. The front panel is where the majority of the interaction is and what reminds me of the HM901 in terms of physical layout. The control and playback dials are actually buttons but have a dial like resemblance in how they are arranged with the outer circle in quarter of for forward and back in playback and track selection and the center dial play and pause. I did say nominal however in my original description as they also double up for UI navigation and select confirmations. At the bottom right is a rather handy exit out or return button and to the top right you your plus/minus digital volume control buttons. I am old school and I love hardware buttons, especially on devices of this size where a touchscreen becomes quite the hassle even if well implemented. The hand to eye coordination of a touchscreen is less of an issue with a total hardware button config which does not require the same level of cognitive dexterity and recall. I am pretty sure Generation Y/Z will disagree, I mean all things touchscreen are all the rage these days but try changing a track on a rainy day by just putting your hand in your pocket and touching a screen – didn’t think so. Even touchscreen DAP’s these days have some sort of hardware button config as a backup meaning its usually full of compromises and not the perfect platform for all occasions. The right panel is bare except for a little lock button at the top which you must unlock when booting or it will shut down relatively quickly leaving you wondering what’s going on (yes I am referring to my first minute experience with the AP100). The left panel has a couple of nice little functional buttons at the top also in SRC (source) and EQ. Perfect placement and very useful without having to drill down a ton of software menus. Photographers will wax lyrical about manual buttons on their cameras and cry foul on software menu systems as limiting the potential of a camera, its not too dissimilar here. If it is easy to find and use then use it you will. The top and bottom panels are your ‘in and outs,’ including the headphone 3.5mm and line out 3.5mm on the top panel and coaxial in and out on the bottom panel. The top panel also houses the power on/off/backlight off button and the bottom panel is further complimented by a non-covered microSD slot which takes up to 64GB microSD Cards (not class leading by any means) and the micro USB charging data transfer slot. The AP100 packs a Cirrus CS8422 SRC and S4398 DAC chip for the main decoding work. Those of you dabbling in DAPs from a number of years ago would likely remember one of the forefathers of the new wave of DAPS in the market, the Colorfly C4 Pro, which was a stunning wood based DAC that I still find highly desirable today. If you dig into the details you will find the Colorfly C4 actually uses the same SRC and DAC chips that are now used in the cheaper AP100. That’s how far we have come I guess and what was premium then has certainly dropped in cost now but do remember this was state of the art a number of years ago and the sound was just divine. It is also the same DAC chip now used in the FiiO X3 Gen 2 and some of the higher end AK units. Note it also uses a dual core Ingenic 4760B CPU for processing which if I am not mistaken is the same as that deployed in FiiO’s higher priced gen 1 of the X5. That is an impressive setup for the price. EQ is handled also with a specific hardware chip – The CS48L10 also from Cirrus, making this I guess a full house Cirrus setup. That funky button on the left panel to the top? Yes that’s the one and it taps into the hardware EQ chip allowing you to move from EQ to EQ at the flick of a switch from presets to custom profiles you have created yourself on the go. I kind of like this function a lot even if I am not an EQ fan. Like I said, if it’s there and you have easy access to it, you may find yourself using more often than not. The AP100 also sports a 2.4 inch 320×240 TFT screen at 26m color quality. It’s an ok screen, a bit washed out and certainly not as vibrant as the new screens from FiiO’s gen 2 series of DAP’s but it’s a heck of a lot superior to use than the HM-700 which on Amazon surprisingly has a similar price for the 32GB model. It will not win awards but it really does not need to, it’s a DAP not a PMP and as such I am not that bothered so long as it’s easy enough to read and I can follow the UI fairly easily which has nothing to do with screen quality. The Ap100 retail package does come with screen protectors and these are worth sticking on for an added bit of protection. The AP100 comes packed with a 3.7v 3000mAh li-ion polymer battery rated at up to 10 hours playback time which is about standard really in the DAP world these days. It’s not class leading given that the FiiO X3 Gen 2 can push out 11 hours plus on a 2600mAH battery but on par with the older gen 1 X3 rated at 10 hours on a similar 3000mAh battery. It is certainly better than the rather shorter DX90 which usually claps out at around 8 hours but way behind the DX50 at around 12 hours plus. It is sort of middle of the road and as such reasonably acceptable for a single days long play or a few days short play. The battery, unlike the DX series is not user replaceable and takes roughly around 3-4 hours. The AP100 comes with 8GB onboard memory and a microSD slot capable of holding up to 64GB optimized in FAT32 (for firmware updates using the card this is a must much like FiiO). It’s refreshing after playing around with FiiO DAPs this last while to see a return to onboard memory even if only at 8GB. I sure it’s all down to cost decisions in the end but a little onboard memory is always useful. The MicroSD slot though is not one of the better designed ones I have seen. Slotting in is rather simple but pushing it back out, especially if you have short nails, is quite the challenge due to the recessed nature and close proximity to the sides. Invariably a small blunt pin did the job for me but if you have long thin nails you might find it easier. The UI of the AP100 is actually quite a simplistic and fairly generic operating system built on the ethos of stability from a lack of complexity and it works. Given the rather simplistic OS deployed by Hidizs on the AP100 boot times are quick and the general speed moving around the system is pretty nifty also. A lack of intense GUI and icon related menu choices allow the processor to work at accessing and drilling down to the desired level without any annoying lags. Boot time is approximately 6 seconds which is about 2 seconds faster than the FiiO Gen 1 devices and the AK100/120 MK1 devices. Once you boot up into the system there is no real home screen to speak off but rather a choice of either going straight to playback options or go directly into the settings options for tweaking the system. The whole presentation outside of the playback screen itself is one of lists and more lists harking back to the early days of Hifiman HM650 DAP’s which had a similar type of system except this is much faster than those clunky old DAPs. Moving around the lists you move up and down on the nominal back and forward labeled buttons on the front control panel and click forward to select. You can also select by highlighting the desired line list and pressing the middle play button which doubles up as ‘ok’ or ‘enter’. You can get out of the selected submenu by clicking the small button to the bottom right. There are no non-linear options on the table here, you cannot jump two to three options in and out with a click of a button, so in that sense it is quite restrictive and more so than the competition such as Ibasso’s fiddly but quick touchscreen or FiiO’s jog dial and secondary menu options overlapping the main menu options. If you want it simple though then the AP100 does this quite well. The latest firmware is not in the least bit buggy and during my review I didn’t have to reset the AP100 once from any lockups or due to unwanted freezing. The Home screen, if you can call it a home screen, is really just one or two cursory nods to customization with a favorites section and then right into the list of files sorted by artist, then into albums if more than one and then into the song list. There is no musical library breakdown so to speak off and you cannot opt to go via album or genre if you are on version 0.6 or less so I advise upgrading that firmware to the newest one which is 0.70 released in April 2015. Frankly if you have your tags and m3u files organized before transfer this is easy as pie but for others this might be an issue without the latest firmware. From there you can use the EQ and source buttons to switch your source and sound profile using the handy hardware buttons to the left and of course the playback functionality to skip between songs. Gapless playback on the AP100 was introduced with version FW0.69 along with software DSD support and the ability to actually organize songs by Genre and Artist as well as opening up the USB DAC mode functionality. Much like the Shanling M3 the Hidizs AP100 return button reveals a number of playlist functions when pressed for a short duration during playback. These include adding to favorites, song information, playback mode (repeat, shuffle etc), sleep mode, backlight controls and the ability to open the folder where the song is located. It’s not hugely complicated and it’s not the most obvious que to access such a list but it has its uses especially if you enjoy creating favorite lists. 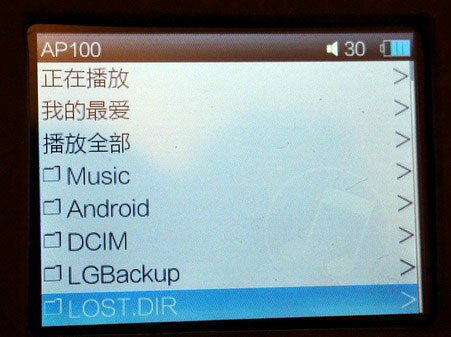 The system settings of the AP100 is a bit similar to most of the Chinese DAPs out right now on the market such as FiiO, Cayin and Shanling with adjustments for memory on playback, EQ customization, volume limiter settings, screen brightness and sleep controls, a small theme changer (you get two themes, blue and orange), a music library updater and the usual information about the player itself. You can find the player firmware version also within the “About AP100” section. Updating the firmware is the same format as other similar DAPs also. Simply drop the FW file (currently FW 0.70 as released in April 2015) onto a FAT32 formatted microSD disk and then turn on by holding power and the return button and things should go smoothly enough. I have to admit with the stock firmware the AP100 felt a fast little DAP, easy to use also, but a little basic in features to keep pace with FiiO and Ibasso. Firmware 0.69 did some wonders by opening up the USB DAC feature putting it on a level playing field with the FiiO and Ibasso as well as introducing a level of DSD decoding that keeps everything ‘in the now’. 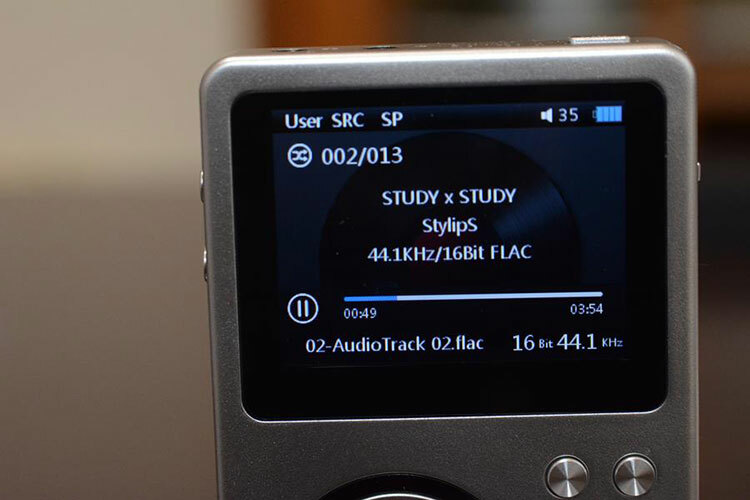 Firmware 0.7 though has gone even further, adding 32Bit audio decoding, a better level of volume control at 05db per step, exFAT support much like FiiO, OTG functionality and coaxial output via the USB DAC. That is an incredibly impressive array of features for the price. hi everyone, AC would be nice to help me make a choice between the AP100 Fiio X3 ii hidizs IBasso and DX50. Personally I lean more to Fiio lr ii X3 but I like to know the differences that there are between 3 player Solicitating sound and also whether it is a large or a small difference. I listen mostly classic and metal. help me please make a right choice. Personally the X3ii is the most future proof of the 3 with native DSD decoding but I enjoyed the AP100 more tonally. I would actually suggest the DX90 or X5ii if you can stretch if not the AP100. the difference between the sound fiio x3ii and AP100 Hidizs is large? I hesitate to AP100 as searching I found that buyers complain restart problem … long bugs, it’s right ? How do you compare it with the FIIO X5? The love the AP100 and was stunned by how great it sounds, whetting my appetite for the AP300 that has yet to peg a release date. Excellent review. 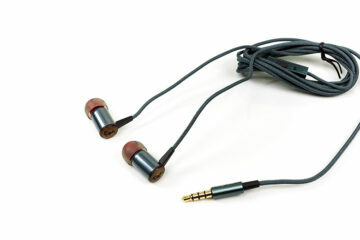 Its a great DAP for the price for me personally, hope the AP300 can do the business for a few pence more. Nice review. Looks like a solid DAP but I think I will stick with my DX90. Do you guys have a FiiO X5 II review incoming?